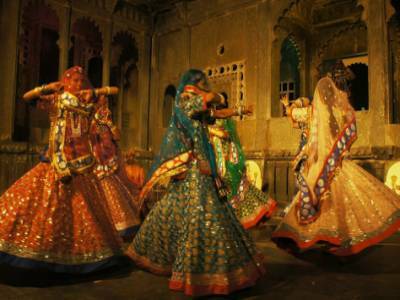 Ghoomar is a traditional dance form which has its origin at Marwar in Rajasthan and performed to worship Goddess Saraswati. The women are dressed in beautifully adorned swirling long robes known as Ghagharas. Translucent or opaque veils are also worn along with the ghagara-cholis. Kundan, mirror or silver jewelleries were used as accessories for the dance. 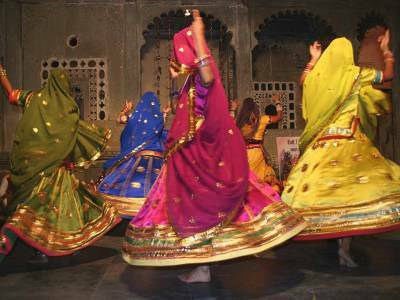 The basic step of Ghoomar is ‘ghoomna’ or a twirling movement accompanied by clapping of hands and moving in circular fashion. The graceful dance form is presented usually by newly married young brides at their new home where the vibrant whirling skirts create a kaleidoscope of colors and spreads happiness and jubilation. Colours like red and green are considered auspicious for religious gatherings and denotes prosperity. It is also performed in wedding ceremonies or religious events. Ghoomar was started in Rajasthan communities during the Rajput rule. Ghoomar also symbolizes the transformation of young girls to womanhood in Bhil community, due to which the attire becomes even more significant. 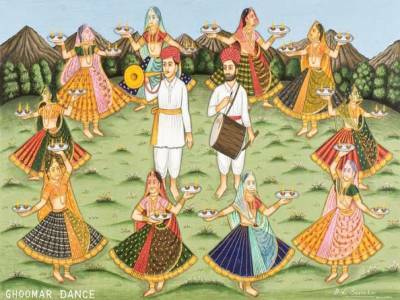 The colours and motifs of the outfits make the dance extremely appealing to watch. Interestingly, the zari work and the amount of embroidery on the ensemble also indicate the how prosperous the family is. 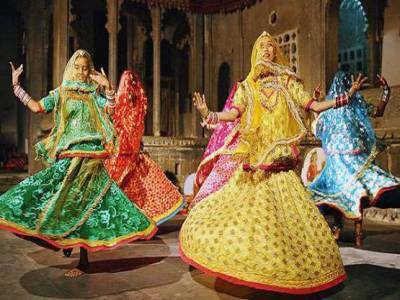 Though Ghoomar is well liked globally, it has recently been popularized through actress Deepika Padukone’s dance sequence in the 2018 period drama film, Padmaavat. Currently, Ghoomar is high on demand, for occasions and festivals across the globe. The widely known dance style connects various communities who have adopted the dance form. Today, the costumes have been modernized from the authentic ones with lace and shimmer predominating in the outfits compared to the traditional zari work garbs. For a more global appeal, the skirts nowadays come with a side slit and the veils are often not worn or designed in a contemporary way. 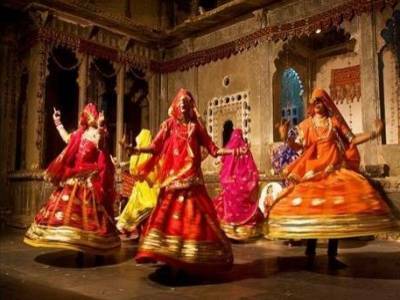 Get quick answers from travelers who visit to Ghoomar Folk Dance.